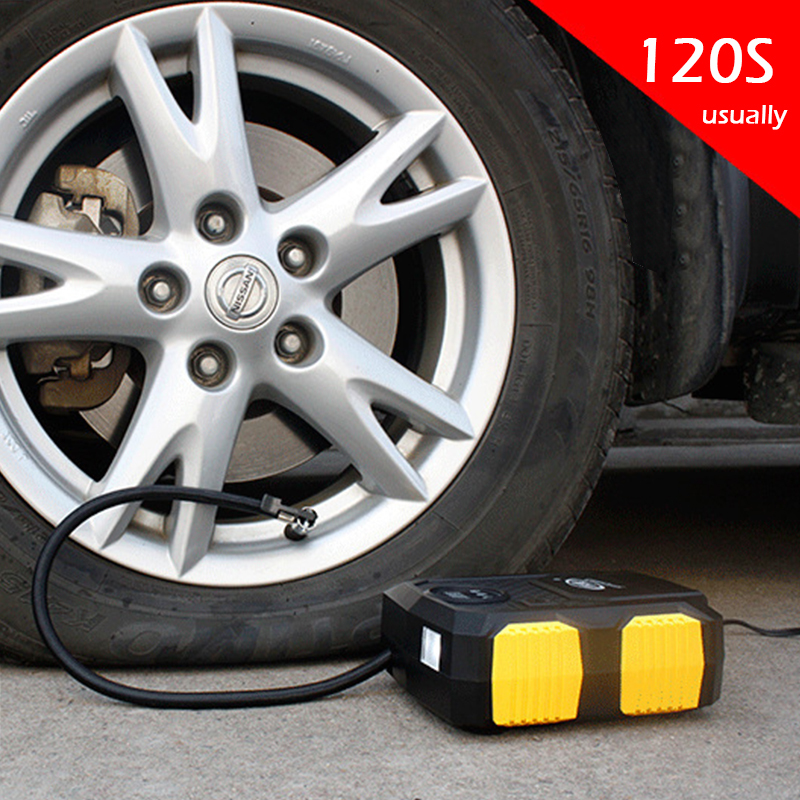 This air compressor enables to inflates a standard mid-sized car tire from 0~36PSI (0-248KPA) in only 4-6 minutes. 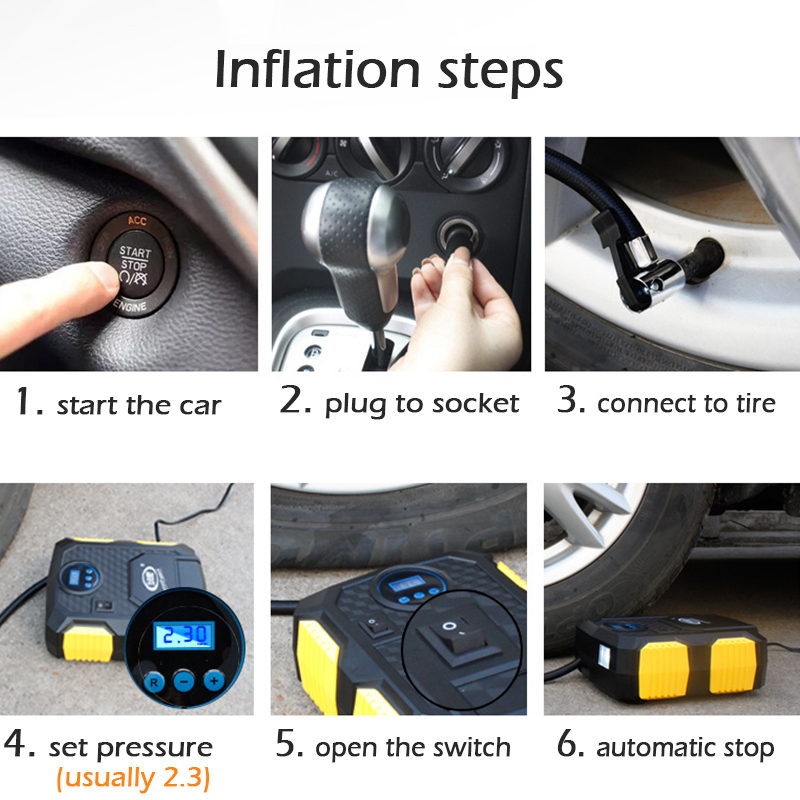 It makes inflating low and flat tires in emergency easier and more convenient. 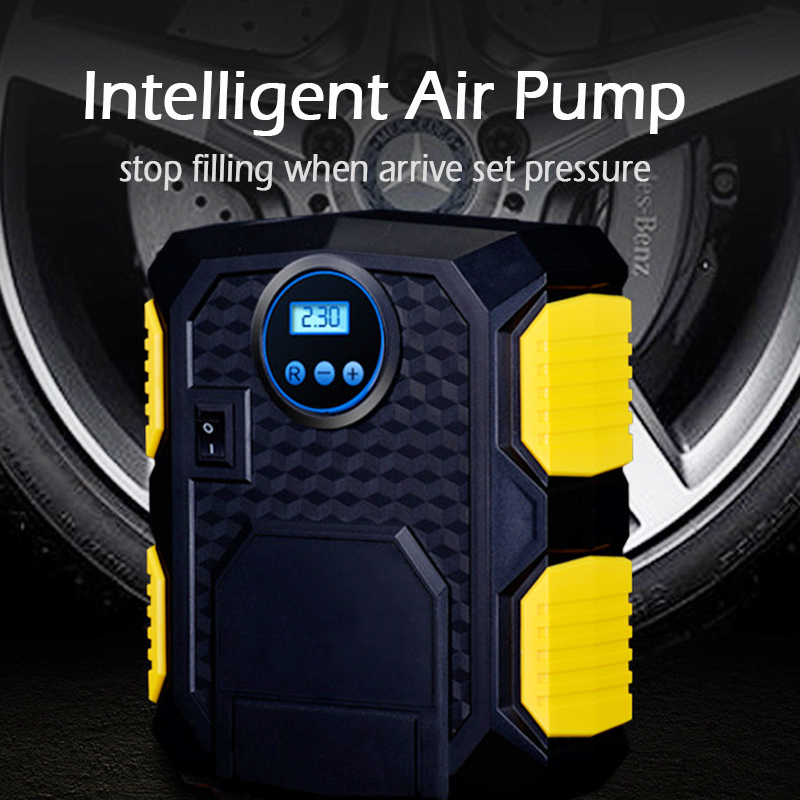 Pressure Gauge Display of the air compressor unit: PSI, BAR, KPA, KGF/CM2. 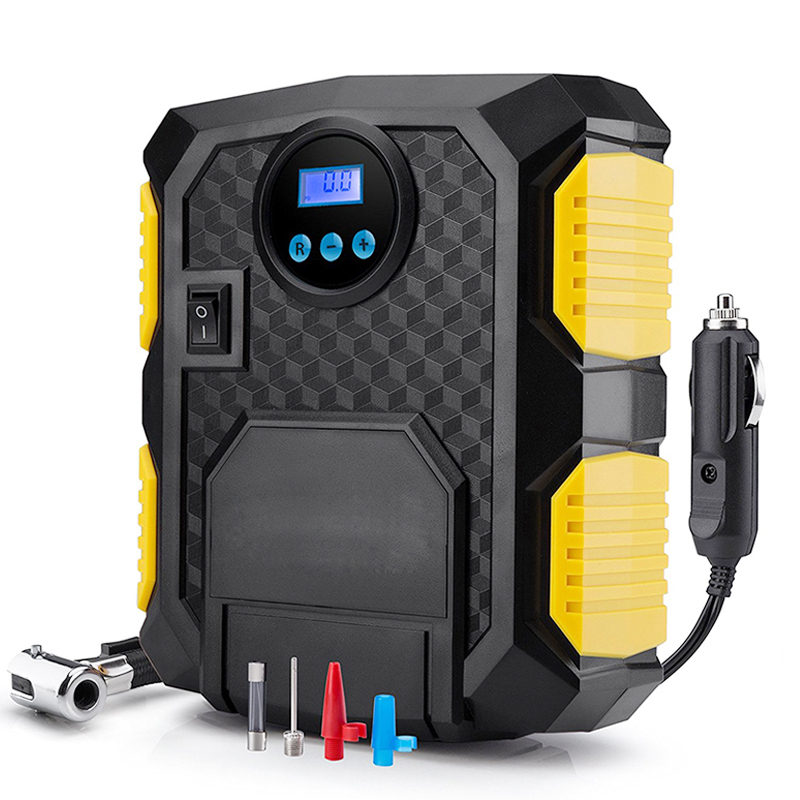 Up to 3 meters of 12V car power cord, can effectively ensure the operation of the product radius, press the button to charge immediately without tightening. Built-in a cable storage slot and hose storage slot, no need to need worry the cord is too long to put, more convenient to use. 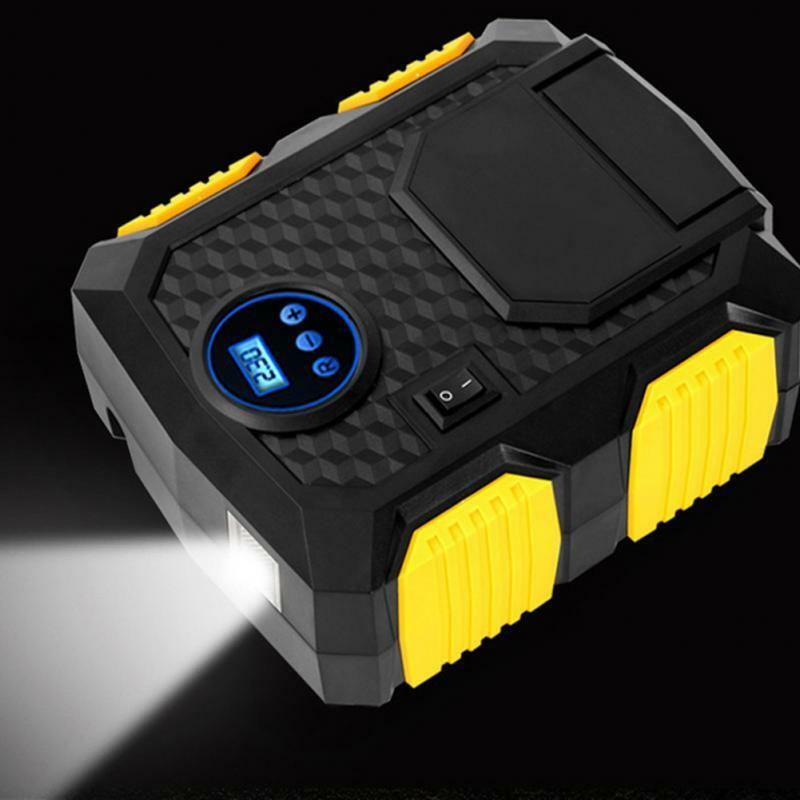 With the built-in LED light, you won\’t have trouble seeing what you\’re doing with your tire, even when you\’re working in a shadowy garage, parked under a broken streetlight, or broken down next to an unlit rural road. 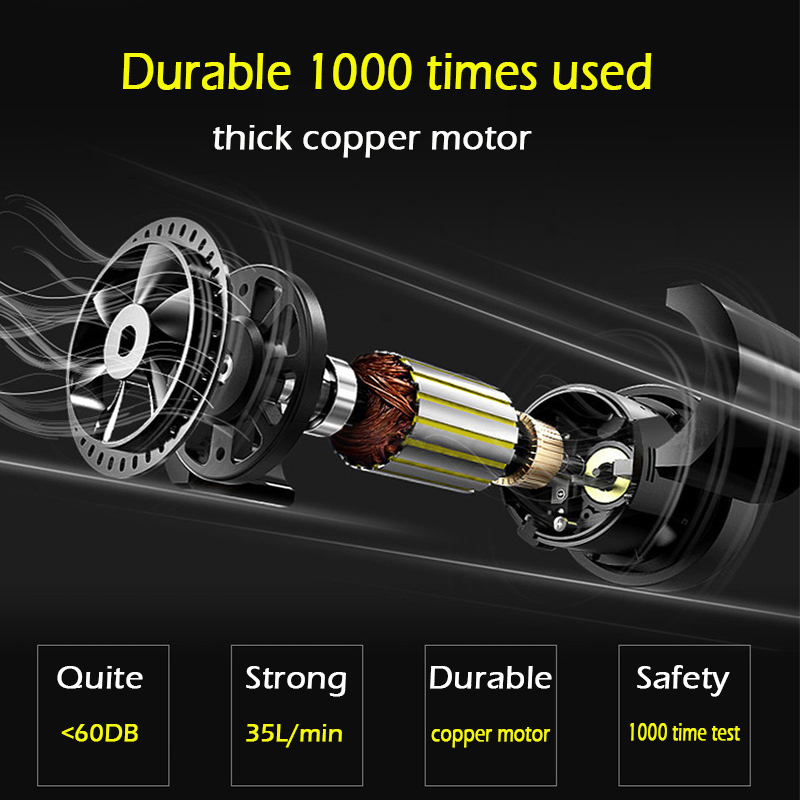 Great for many types of tires: car, bike, motorcycle, RV, SUV, ATV, rubber dinghy and also sports equipment and inflatables. Three additional nozzles and adaptors included to make the compressor versatile and more widely-used.